While the memories formed on a cruise holiday are often worth far more than any physical souvenir, no one likes to come back from a holiday empty handed, and visiting local markets in the destinations you travel to is a fantastic way to pick up a unique memento of your trip. 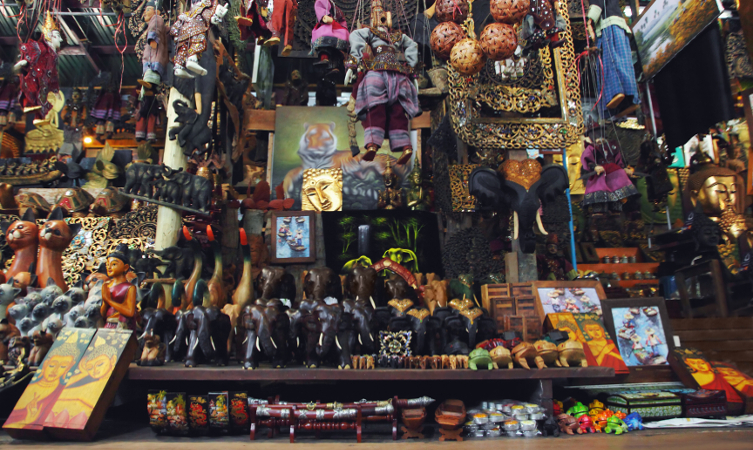 From handicrafts to clothes and much else besides, you're sure to find some unusual items while browsing through the stalls that perfectly encapsulate the local culture. One region that has always been particularly associated with markets is Asia, with cities like Bangkok, Mumbai, and Hong Kong being a dream for those who love to shop thanks to the wealth of bustling bazaars that can be found there. However, there are a few tips that you may want to bear in mind when purchasing souvenirs in Asia's markets, with the following being some of the most important things to consider. Buddhism is the national religion of Thailand, and as such has played a huge role in shaping the local culture and lifestyle over many centuries. Because of this, it also provides the context for many of the experiences that tourists can enjoy in the country, with temples such as Wat Pho in Bangkok and several others around Thailand being hugely popular attractions. It's only natural that visitors should want to take home a little reminder of these experiences, which is why many people purchase replica statues of Buddha or other Buddhist images from market stalls. However, it's important to bear in mind that this material is considered sacred by the Thai government, and strict regulations have therefore been put in place regarding what can and can't be taken out of the country. As a general rule, any statue that is less than five inches tall or which is less than five years old can be freely exported, however items which are deemed to be of genuine religious value, or made of antique material, can only be removed from Thailand if a permit has first been obtained. These are administered by the Thai Fine Arts Department, and most reputable vendors should be able to complete the necessary paperwork on site. It's also possible to arrange a permit yourself by contacting the department directly, although it's worth bearing in mind that you should check whether or not a particular item requires one before buying. 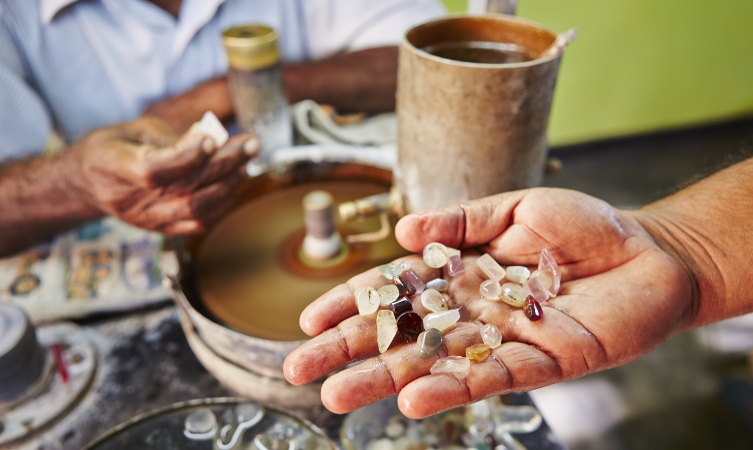 Sri Lanka is famous across the globe for its incredible reserves of gem stones, with many of the most respected jewellers in the world - including those that are found in London's Hatton Garden - sourcing their raw materials from the island. Naturally, these stones can be purchased for a much cheaper price when bought directly from Sri Lanka, which is why so many tourists who visit the country decide to do so. As with all precious items, it's essential to know your stuff before committing to a transaction, which is why you shouldn't finalise a deal on a stone until you've had it verified as genuine. The National Gem and Jewellery Authority operates gem testing centres all across Sri Lanka, and charges no fee for the service, so it really is wise to arrange for stones that you are interested in to be sent to one of these before you buy. Furthermore, always be sure to check that the seller has a vendor's license, which confirms that they are reputable. 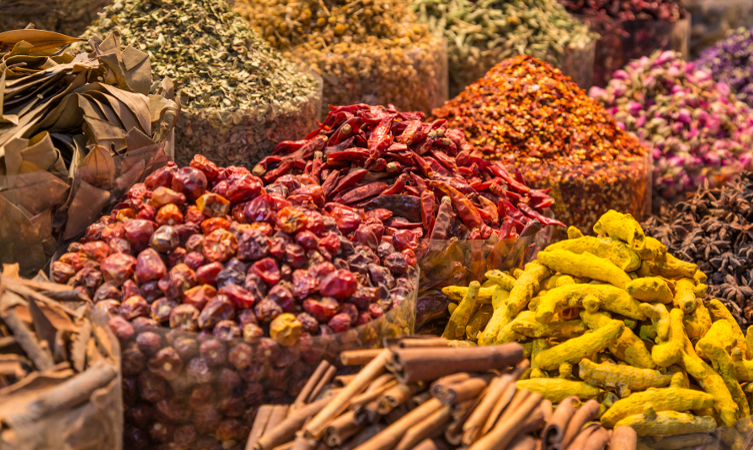 If you'll be stopping in the beautiful port of Cochin (or Kochi), during an Indian Ocean cruise, you'll likely be confronted with many sales people selling spices. While you might be tempted to to buy from the first place you find, try to take some time to look around. Some of the souvenir spice shops sell there wares at an extortionate rate, but you'll be surprised at what you can find elsewhere. There is a wealth of selection at the authentic wholesale markets in Jew Town, Mattancherry, and you can buy as much or as little as you like. Having said this, if you are looking to buy spices as a gift, and would like them to be packaged in a keepsake box, there are several, larger fixed-price stores which are ideal. If you have time, go to the Lulu Mall in Edappally, where you'll find a few authentic spice shops as well as some other treats! Learn more about cruising in Asia, and sign up for our new Asia brochure.